Published in 2007, Joy Moncrieffe and I jointly edited this book, We ask, what does it mean to be part of the mass known as ‘the poor’? What visions are conjured up in our minds when someone is labelled ‘Muslim’ ? What assumptions do we make about their needs, values and politics? Who develops the labels, what power do they carry and how do such labels affect how people are treated? 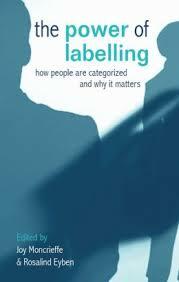 The book’s contributions analyse labelling’s causes and consequences. It is aimed at everyone who wants to scrutinise howthey think about development and the implications for their practice.